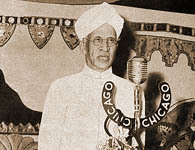 speaking through the Chicago Radio Public Address System. 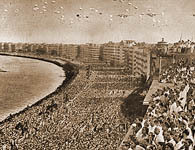 “Indian Air Force’s 27 th Anniversary display, held on April 3, 1960, at Marine Drive, Bombay. 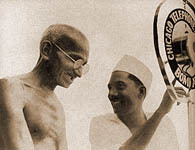 Over a million spectators, spread over a distance of 31/2 miles, heard every word of the commentary through CHICAGO RADIO loudspeakers. 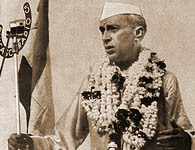 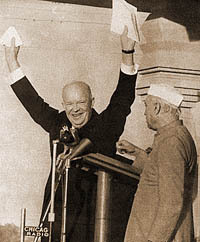 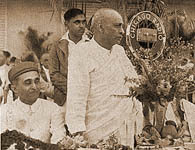 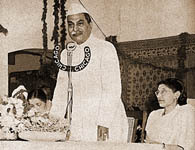 “Little did I realise how impressive and moving and inspiring the sight of you would be.” Thus spoke Mr. Eisenhower, President of the United States of America, when he addressed the two-million strong assemblage who heard him in pin-drop silence at the Ramlila Grounds, Delhi, on December 13, 1959.